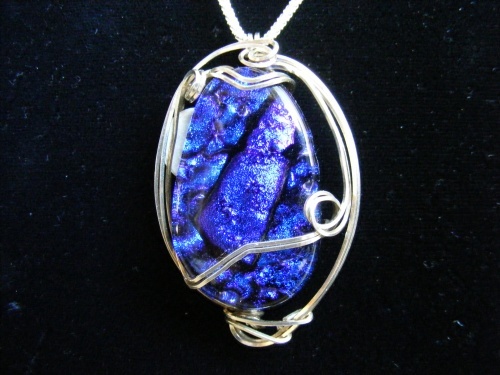 Deep blue is true color of this intense piece - measures 2" from top of bail to bottom of pendant. This piece surely makes an impressive statement. Chain not included.